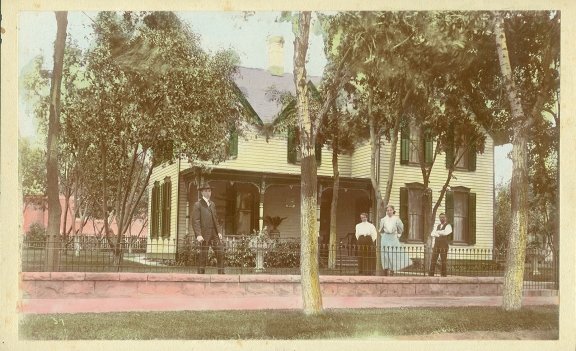 Jacob Schmidt and Bertha Braun were early residents of Colorado City, who arrived in the United States just before the turn of the 19th century. Jacob began his journey to the United State in February 1881, one month after his 16th birthday. He’d left Germany to avoid induction into the Prussian military. He arrived in New York City on February 21, 1881 aboard the S.S. (Steamship) Main from Bremen, Germany. Bertha arrived in the United States sometime in 1884. Jacob was a resident of Colorado City from about 1888 until 1913. He was born Johann Jakob Schmidt in Heiningen, Kingdom of Württemberg, Germany, on January 3, 1865. He died in Fremont County, Colorado, at 49 years of age. It’s not known how he came to Colorado. He’d been a farmer while living in Germany, but became a merchant after arriving in America. He learned the baking trade in Cincinnati, Ohio, while living in a German neighborhood know as “Over-the-Rhine” before he emigrated to Colorado. Jacob’s wife, Bertha (Verena) Braun, was a resident of Colorado City from about 1888 until her death in 1950. She was born in Neuhausen, in the canton of Schaffhausen, Switzerland, on October 16, 1854. She died in Colorado Springs, Colorado, on August 22, 1950 at 96 years of age. She was 11 years older than her husband, Jacob. According to her grandchildren, Bertha came to the United States as a governess for a wealthy family. The family was believed to have settled in Monterey, California. But this hasn’t been established as fact. 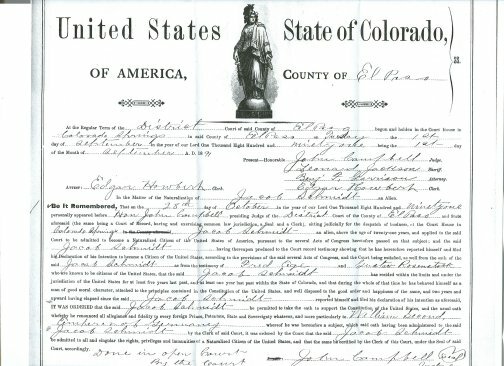 Jacob became a naturalized United States citizen on October 28, 1891, before the District Court of El Paso County, Colorado Springs, Colorado. According to the Naturalization Act of 1802, as an alien wife of a U.S. citizen Bertha also became a naturalized citizen then. Jacob met Bertha in Denver, Arapahoe County, Colorado. He was a baker and she, it’s believed, was a governess there. They were married on January 3, 1887, by Reverend Henry Wegert of the German Reformed Church, and immediately moved to Leadville, Lake County, Colorado, to open a business. Their bakery, the ‘Vienna Bakery’, was located at 120 E. Third Street. That same year, they became partners with Emil Mangold instead. The new bakery, “Mangold & Schmidt”, was located at 724 E. 4th Street. Their first child, Henry, was born September 14, 1887, in Leadville. 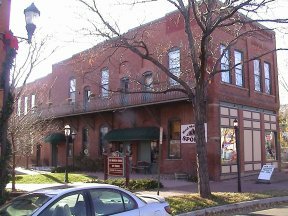 Sometime in 1888, they moved to Colorado City for better business opportunities. 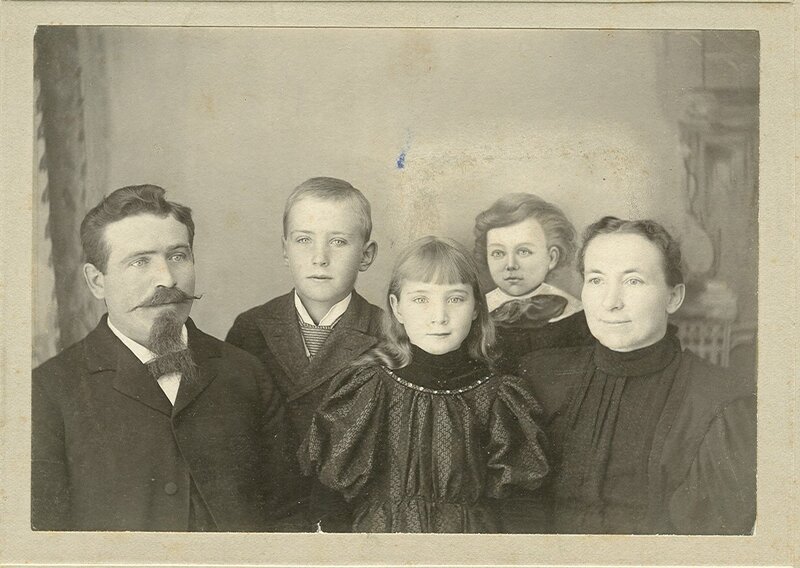 Jacob and Bertha had four children, one of which died in infancy. Another child, a boy named Reinhold, died at the age of 7 years. Their remaining children, Henry and Louisa (later called Louise), lived full and productive lives. Louise was born on December 24, 1890. A family story relayed was that Bertha delivered her daughter on Christmas Eve, and then went to work the next day to accommodate walk-in customers at their bakery. 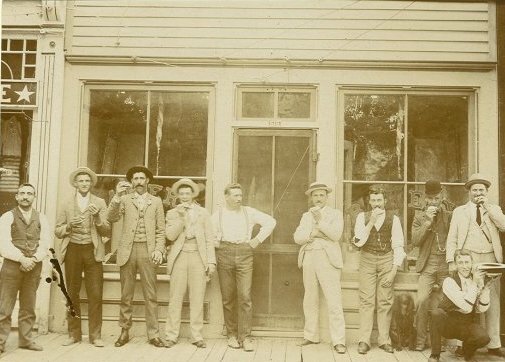 Joe Krantz, in other Colorado City photographs identified as owning Star Loans is at left. The 7th to right is Jack Gillespie, barber shop owner. In other Colorado City photos they are identified as the Colorado City Swells. First Saloon Building. Jacob is right of tree. This was at 612 Colorado Avenue, location is today 2613 Colorado Avenue. Even numbers in the 1890s were on south side of the Avenue. Evens switched to north side in 1910s. Here is a very rare two-sided Advertising Card made for the Saloon soon after the new building was built in 1904. The card was only located and won by Dave Hughes at auction on EBay in 2008. Building today at 2611 West Colorado Avenue, formerly Jacob Schmidt’s Saloon and Beer Hall. Built by Jacob in 1904 next to the original site of his first saloon at 612 Colorado Ave. In fact, part of that building is visible on the right of the advertising card. It carries the name "Pikes Peak Family Liquor House" and in 1906 its proprietor was named Stine. That building no longer exists. The brick building is an outstanding sample of brick and decorative iron Victorian Architecture. It was used as an apartment house in the 1960s and 70s. It is today a commercial building at 2611 West Colorado Avenue. The beer hall was in two long rooms on the first floor, gambling was on the 2nd Floor, Beer Coolers were in the basement. The notorious Red Light District was across the alley to the south facing Cucharras Street. And the Denver and Rio Grande narrow gauge railway tracks were also on Cucharras Street. 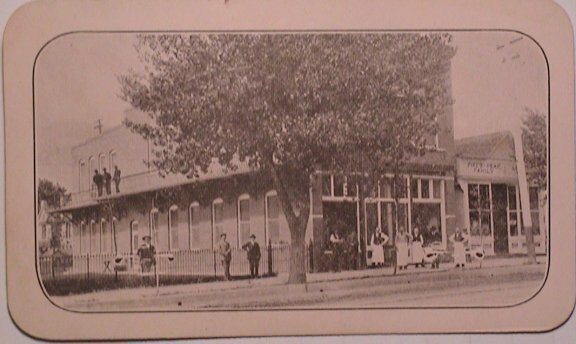 The Colorado City passenger stop was right at the 6th Street corner close to Jake's Saloon, delicatessen and restaurant. Everyone going to or from Cripple Creek during it. We think Bertha's 'Delicatesson' was in the long rear of the Schmidt building. During Schmidt's heyday everyone had to stay overnight in Colorado City and take the Midland Train the next morning. Thus business was good in the Schmidt Building. Inside ‘Jake’s Saloon and Beer Hall.’ Jacob is on the right. (Joe Fairbanks in background.) It also, according to an 1890s Polk Directory and the Advertising Card, a German Delicatessen – which was probably operated by Bertha in the rear. It was, and still is, a large building. 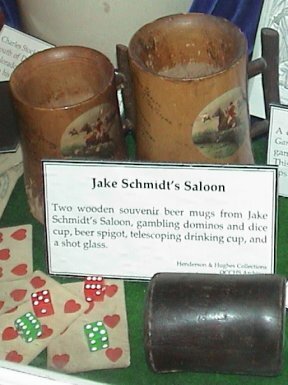 Jacob Schmidt’s Souvenir Wooden Beer Mugs, given away around Christmas, together with other gambling paraphernalia the Old Colorado City Historical Society collected over the years and now displayed in its History Center/Museum. The Wooden Mugs are valuable collector’s items today. 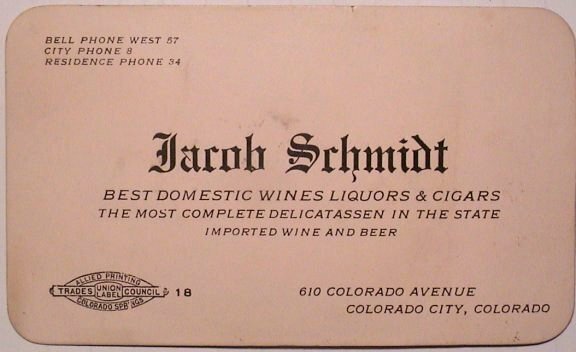 Jacob’s business appeared to be thriving. Around 1900, he bought the former "Love" home at 931 Colorado Avenue (now 2932 West Colorado Avenue). The home is now gone, but it was a large two-story home with stone and wrought iron fencing around their acre of land. They owned that for perhaps 17 years. In 1901, when Henry Schmidt was 14 years old, his father prompted him to “get out there and work.” And so, he left school after 8th grade to attend business trade school in Colorado City for one year. He studied to become a stenographer, a profession that included learning shorthand, typing, and bookkeeping. Stenography during this era was predominantly a male profession, although women were becoming more commonplace in the work force. There were two types of shorthand that were taught to stenographers in the United States, Pitman and Gregg styles. Henry learned the Gregg style of shorthand, which was a phonetic and cursive style and was the easier of the two to learn. He retained some of his shorthand skills throughout his life. In 1904, at age 17, Henry was employed by the Colorado-Midland Railway Company as a purchasing agent, office stenographer, and payroll clerk. In 1906, he got a free pass from the railroad for a trip to San Francisco. He went there to see the damage done by the earthquake, and then went on to Long Beach, California. Henry’s salary with Midland Railway was $75 a month, $10 more than the company foreman received, a married man with children. He worked for the railway company until 1907, after which time he started working for his father, Jacob, in his saloon. Henry said, “Father was rather hard on the help and rather exacting and kept wanting me to quit and tend bar for him. It was very much against Mama's desire but I gave in and was in the saloon for over seven years. I didn't drink anything and got along o.k. that way.” Henry received $100 a month working in the saloon. It was there, he said, he acquired a cordial manner for dealing with patrons. By age 21, Henry had saved $2,500 from his earnings. He was convinced he could make money by investing his savings in a Colorado tire and inner tube firm. Shortly after his investment, however, Colorado was hit by one of its worst snow storms and a damper was effectively put on the market for automobile tires. He was close to penniless. In his free time, Henry was a pitcher for the Golden Cycle indoor baseball team, who became the champions of the American Indoor Baseball League (Fall 1908) and also the Colorado Springs Independent League (Fall 1909). Later, he pitched for the West Side team, the 1910 champions. Henry’s prowess as a pitcher won him accolades from a sports reporter for The Denver Times---“Schmidt is admittedly one of the best indoor pitchers in these parts…Never was he more accurate and never was his delivery more baffling…Schmidt’s fine pitching at critical moments enabled the Golden Cycles to beat the West Side indoor baseball team”. In addition to baseball, on Saturday nights, after the saloon would close, Henry and one of his friends would fix themselves sandwiches and hike up nearby Pikes Peak. In 1913, Colorado City voted to become dry. It’s not certain when Jacob sold the saloon after that. 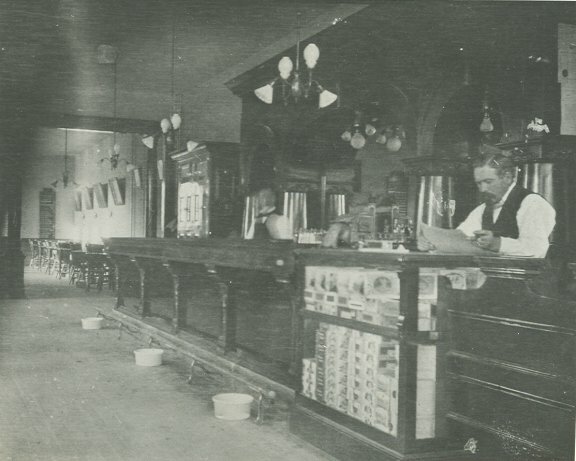 According to Henry, “(Father) continued in the saloon business until prohibition, 1914, I think.” Like some of the other shut-down saloon's owners, he tried to make it in the still-wet town of Ramona, just 6 blocks north of Colorado Avenue on 4th Street (today's 24th street). That too closed down when the state went dry. But Jacob was gone before that happened. He and Bertha had bought a fruit ranch near Penrose in Fremont County, Colorado. Farming was something he hadn’t done since he’d left Germany. /Henry said of their fruit ranch “It wasn’t much good…The land was dry and it was harder than the devil to make any money off it.” He said his father, “…worked his head off and things were not bringing in a return for the effort. Fruit was cheap and the place needed so much in the way of improvements, etc. Mama and I worked along with him. Louise also would alternate between the Colorado City home and the ranch. It was quite different from the saloon business where you could see something coming in each day and it finally got too much for him.” It’s believed that Jacob’s last hope for making the ranch work was dashed when the water he depended on for the fruit orchard was diverted or just completely shut-off. 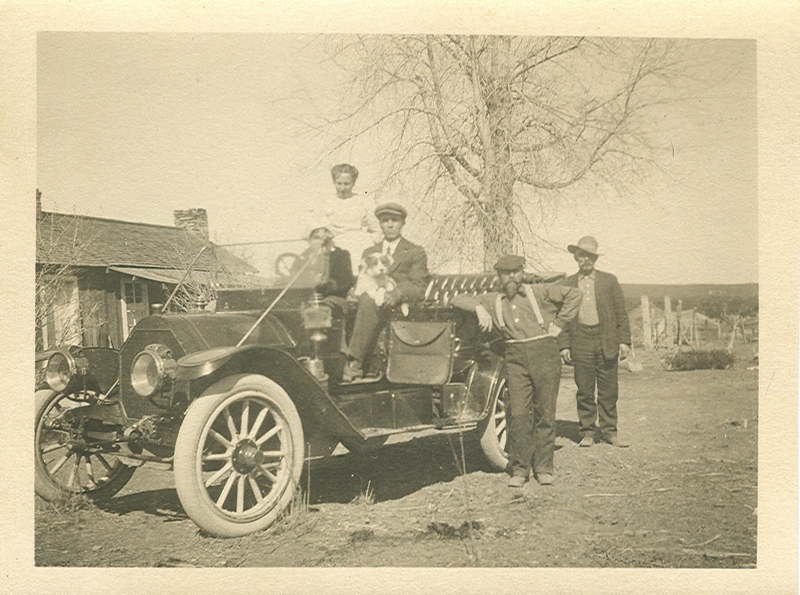 1914 Picture (after being forced to close the Saloon) on their Apple Farm near Penrose, Colorado. Son Henry is behind the wheel of their 1911 Maxwell. Jacob is leaning on the car. Hired hand Jim Hader at rear. 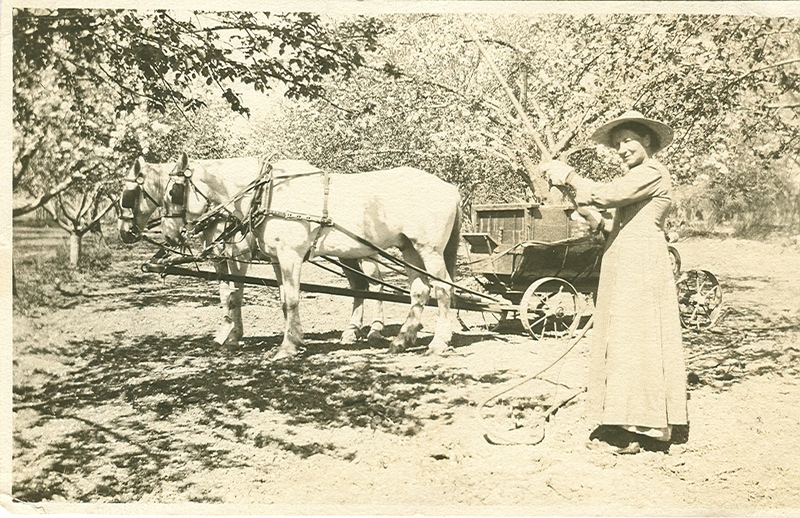 Bertha on the Apple Farm, 1914. Orchard in the background. On May 14, 1914, Jacob ended his life at his fruit ranch with a self-inflicted gun shot wound. It’s not known how Bertha made her livelihood in the years after her husband’s death. In the year prior to his father’s death, Henry moved to Simla, Colorado because money was being made there in wheat farming. He built a hardware store, Simla Hardware Company, on Sioux Avenue. When his sister, Louise, married Chester A. Huff, about 1914, the two men became business partners. They sold hardware, farm implements, tractors, and automobiles. Henry also met his future wife, Beulah Blair, in Simla. Beulah’s sister, Georgia, and her husband, Issac Errett Alford, were homesteading near Simla. She came from her native State of Kansas to visit her sister. She ended up staying there to teach school. Beulah taught grades 2 through 8 in the one room Fairview school house. Henry and Beulah were married in Golden, Colorado in June 1917. Three (3) years later, in Santa Monica, California, Henry and Beulah had their fourth child, Marillyn Schmidt. All this time, Henry still owned his farm and debts were piling up back in Simla. Then the Depression hit in 1929. Julian Grunze closed his business suddenly one day. Henry decided to sell his farm in Simla to retire his debts there. He then began his own tile contracting business in Santa Monica. Louise and Chester had one child, Donald Henry Huff, After they divorced, Louise raised Don with the help of her mother, Bertha. She never remarried. In an interview by the Denver Post (Feb. 28, 1954) Louise said, “I started out to be a wife and mother, not a career girl, but the time came when I had to go to work to support myself and my son.” So, she enrolled at a business college. She continued, “I always loved mathematics, and bookkeeping and accounting came easy for me”. Following college she worked in the office of H.H. Mitchell, certified public accountant, and helped audit the city books in 1922. She was later offered a position in the City Auditor’s office as an assistant to Leo Dorlac. In March, 1924, she became secretary to A.M. Wilson. Then, on May 1, 1929, she was appointed City Auditor by unanimous vote of the City Council. At that time, Colorado Springs was one of four cities in the U.S. that had a woman in the position of city auditor. Louise’s son, Don, was a graduate of Colorado College, class of 1935, and was a Tiger basketball star during his college career. He enlisted in the U.S. Navy during World War II. After the war, Don became an engineer for the U.S. Department of Interior, and then executive assistant to the chairman of the Interior Missouri Basin Field committee, Bureau of Reclamation. He was also a member of and secretary for the Missouri Basin inter-agency committee, which was an advisory group in the development of the basin. In 1957, he was designated the chairman of the department’s Northwest Field Committee. 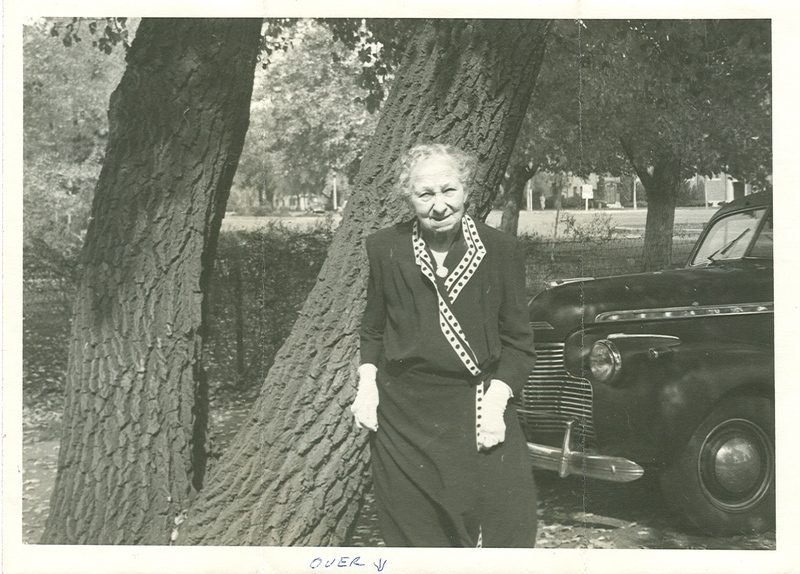 Louise cared for her mother until her mother’s death in 1950. Louise and Bertha resided at the Gutmann Apartments for many years, but their last known address was 216 N. Cascade Avenue in Colorado Springs. From 1930 to around 1972, Henry owned his own tile contracting business in Santa Monica, California, called Henry Schmidt & Son Tile Company. He quit the tile business to turn everything over to his eldest son, Hank Schmidt. Henry was also an inventor. On October 1, 1927, he applied to the U.S. Patent Office for a patent on his tile marking and cutting gauge. On August 14, 1928 he received his patent (No. 1,680,805). The tool, used by tile contractors, cuts a tile quickly to the correct dimension or angle before installation. In 1930 he traveled the U.S. his wife, Beulah selling his tile cutter. Their children stayed with Beulah’s parents on their Kansas farm. Henry sold the tool, called the “Schmidt Board”, for $5 and $7.50. Then, in 1969, Henry developed the “Economy-Rack” (later called Econo Racks), which proved to be a timesaving device for setting tile. The metal frame rack was placed on the surface to be tiled. It had the exact spacing needed for tile pieces to be laid in. After turning his tile business over to his son, and with his son’s help, Henry kept making “Eono Racks” for many years. Henry is remembered by his children and grandchildren as sharp witted, industrious, soft-hearted, gentle, and creative. He and Beulah lived frugally, but were always generous with their money when it was needed. Jacob, Bertha, Louise, and Reinhold, as well as the child that died in infancy are buried in the Westside's Fairview (earlier Colorado City's) Cemetery. Henry and his wife, Beulah, are inurned at Woodlawn Cemetery in Santa Monica, California. Schmidt Family grave in Fairview Cemetery. Jacob's earlier 1914 grave was relocated to this site from elsewhere in Fairview after Bertha's 1950 death. Rudolph Schmidt, was one of Jacob's brothers. According to the 1892 Colorado City Polk Directory , he was ‘Bakery Clerk’ in their store for an unknown time. He lived until he was 83 (1876 – 1959). He married Anna Pauline Solid. They moved to Seattle, Washington, in about 1900. Then, in 1910, they moved to Alaska. Their daughter, Gladys, was born there in about 1914. By 1915, they owned a grocery and bakery in Valdez. They returned to Seattle, Washington in 1917. Anna died there in 1944. Rudolph eventually remarried. Both Rudolph and Anna are buried in Mount Pleasant Cemetery, Seattle, Washington. This information was assembled by Catherine Hughes Dymkoski, supported by Dave Hughes history from Colorado City first prepared November 21, 2007 and revised July 19, 2009. Information came from family photographs, a series of newspaper articles, family correspondence, and a few recollections of events by Henry ‘Hank’ Blair Schmidt, Robert Dean Schmidt and Jean Schmidt Hughes. Among the sources used were: Letter from Henry Schmidt to his uncle Rudolph Schmidt, March 12, 1956; article from a Colorado Springs newspaper, “Society and Club Activities – Woman of the Week”, 1949; The Industry News, Los Angeles, California, May – June 1972; Billings Gazette, Montana, December 12, 1957; and obituary from the Seattle Telegraph Gazette, 1959.